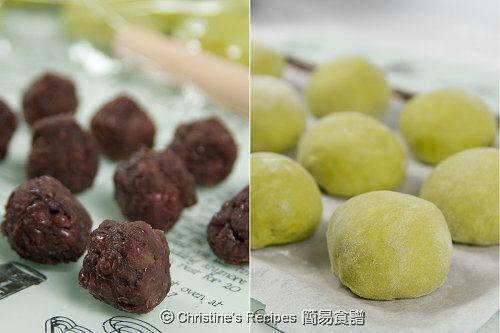 can use coco powder to replace the 抹茶粉? can use all purpose flour to replace high protein flour? thanks..
You can use all purpose flour too. But I found that the texture of the bread made by high protein flour is better. Just discover your blog today, you have done a good job. Your green tea bread looks as good as Breadtop. Thanks for dropping by. Welcome you back and visit more. @Connie: I'm very very happy for you too. I understand how hard it is to raise a 3 year old and try to cook good foods for the family. Thanks so much for leaving your lovely comment here. Thank you so much for sharing your gift with us. 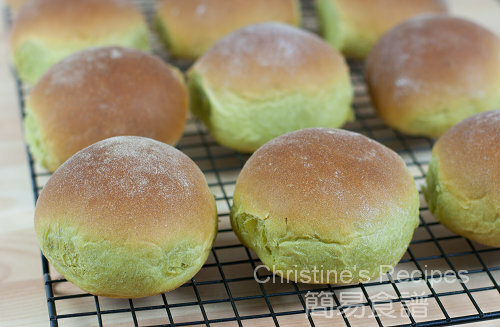 I made the green tea bun first time over the weekend and my family love it. 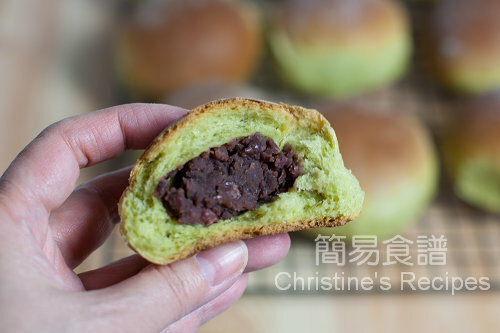 can use self raising flour instead of 高、中、低筋麵粉? Different kinds of flours can produce different kinds of textures. Thanks for the recipe, it makes really good bread! !